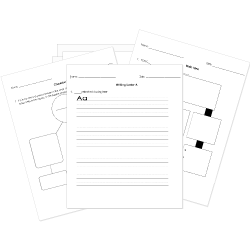 You can create printable tests and worksheets from these Grade 9 Adjectives questions! Select one or more questions using the checkboxes above each question. Then click the add selected questions to a test button before moving to another page. Margot is looking forward to wearing her Halloween costume on Monday. Identify what kind of adjective the CAPITALIZED word is. Their YOUNGER daighter, Jessica, is starting a graduate program. Margot is an energetic puppy. This toy belongs to Margot. The team got involved in a NO-HOLDS-BARRED barroom brawl. Identify the predicate adjective in the sentence below. It's 6 am. We leave at 7. We have 20 minutes. Identify the adjective in the sentence below. Uncle Vernon's puffy face swelled with anger when Harry received his letter from Hogwarts. Identify the adjective clause in the sentence below. My dog, the one with the the pink collar, is playing with the ball. After the race, Marco jumped into the cool pool. The comparative adjective is used correctly. Sam is 15. John is 14. Sam is older than John. My best friend makes me laugh! He is definitely than me! Mary's coat, tan and furry, kept her warm in the winter. The adjective tan describes what? The comparative adjective is used correctly in the sentence. An acquaintance is better than a friend. Rhianna and Beyonce are both superstars. Beyonce is as famous as Rhianna. Mortal is a noun and adjective. India is less populated than England. I am a little generous. Sally is very generous. I am not as generous as Sally. The steak is £12 and the fish is £14. So the fish costs the meat.